We always tell people that Toronto has the best travel community in the world. It amazes me. So many Toronto based Travel Bloggers are at the top of their field. We feel that some of the best travel bloggers, vloggers and industry peeps are based right here in Toronto, and since the entire world travel community is coming to Toronto in June, we wanted to highlight the Toronto Travel Bloggers that you should keep an eye out for and say hello to during the upcoming TBEX conference. We normally hate doing posts like this. Inevitably someone awesome gets left out and we feel bad. But since TBEX is coming to Toronto in June, we felt compelled to show off our community. There are other amazing Canadian Travel bloggers that we could mention too, but then this post would go on forever. So for now, enjoy our Toronto based only recommendations for your reading pleasure. BreatheDreamGo – Mariellen Ward has a passion for India. She's been writing about it in both traditional media outlets around the world as well as at her successful travel blog. Recently she changed her niche to expand beyond India to a meaningful adventure travel blog and has really hit her stride. An influencer and another leader in the industry who has won several awards in writing. And as mentioned above, Mariellen is the co-founder of Toronto Travel Massive with Alicia Taggio. Travolution – Before TBEX begins, we get to spend a week with Cristina in Italy as part of the BlogVille Campaign. A graduate of Journalism and Political Science, she turned down her dream job twice. A well rounded journalist she interviewed the likes of Justin Beiber, Tom Cruise and Raine Maida of Our Lady Peace (like Cristina also, one of our favourite bands). She quit it all to become a travel blogger and if anyone can make it, she can. Cristina is also now a part of the people behind the Toronto Travel Massive with Alicia and Mariellen. 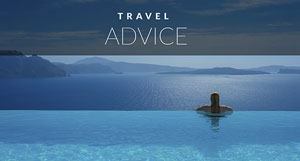 JourneyWoman – Evelyn Hannon runs the premiere online travel resource for women. She's been featured everywhere from Time Magazine and Good Morning America to Reader's Digest and Canada AM. We've known and admired Evelyn since we started travel blogging. Whenever we talk to friends or family oustide of the travel industry, they know of JourneyWoman. 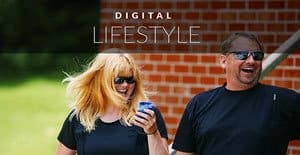 They may not know the rest of us, but she's a household name with 65,000 people subscribing to her newsletter which was featured in People Magazine! KickTheGrind – If you want to know about how to make travel videos, you want to follow Mike Corey. He has the best travel videos in the industry and it's only a matter of time until he has his own travel show. His editing is awesome and we're not the only ones who think so. He's won several video competitions including the prestigious Cathay Pacific around the World in 80 Days video competition. The Travel Society – Our good friend Helen (And as some say, my sister, we look a lot a like) has started a new company The Travel Society. 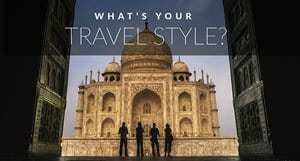 It's a travel club for adventure travel around the world. That's our kind of place! It's so much so that we're developing custom ThePlanetD tours with Helen for 2014. That will be coming soon, but in the meantime, check out everything there is to offer. We love her latest post Misadventures in Antarctica, where she talks about being on a sinking ship in Antarctica. Yikes! The Travel Society is a boutique travel agency with a subscription based membership of 2000 people. Way to go Helen! Red Hunt Travel – Red has been everywhere. He is a travel consultant and social media consultant. He quit his job to travel the world long before it was trendy and has become an avid travel photographer and has written more than 600 travel articles and newsletters. He's a former journalist who now works in the world of travel marketing. All that and he still has time to share his spectacular travel stories on Red Hunt Travel. Savoir Faire Abroad – You may know her from SpunkyGirlMonologues, but Pamela MacNaughten has rebranded and started off 2013 with some major travels through Central America.We first met her in Bangkok where she was helping refugees connect with their families. Pam has a huge heart and has made a living out of travel blogging for several years. She has been featured in Outpost, Travel and Escape and Up Magazines. The Melly Boo Project – Melissa is a fabulous gal who is as crazy as we are. From the gorge swing in Zambia to diving with Sharks, she's another great Canadian Adventurer! I will admit, she's much more adventurous than us when it comes to eating exotic food. Jellyfish? My oh my! She's been travelling since 2010, been featured on Daytime TV and was nominated as the best newcomer blog in the Destinology 2012 Travel Blog Awards. We love a girl who is adventurous as we are and maybe one day we'll get to jump out of something with her too! Seattles Travel – Featured on Mashable as one of the best people to follow on Instagram, Seattle Dredge has really made a name for herself. She's been everywhere from Australia to Iceland and focuses on Adventure Travel. Her latest posts have been focusing on mountains and snow and ice and we've been loving following her journey. Our kind of gal indeed! Have Baby Will Travel – Mom Bloggers have always been way ahead of travel bloggers and Corinne McDermett is definitely ahead of the game. I remember first talking to her a few years ago and was blown away with her ideas and vision. Besides her successful travel blog she's been featured in traditional media and television such as Canada AM, Breakfast Television, Travel and Leisure and the Disney Channel. She has now started her own consulting company and is a family travel specialist for Thomas Cook. Near Afar – Every time we see Natalie Taylor I just laugh and laugh. There's something about her energy that makes me smile. A true Toronto Specialist, this is the blog to follow if you need information for the 2013 host city for TBEX – Toronto. She's been featured in the Sympatico Blog, Lucky Penny, National Geographic's Intelligent Traveler and Trip Atlas just to name a few. TheTraveller World Guide – I just love The Hogga, Aka Lindsay Hogg. Her writing is fresh and funny and this girl is busy. Not only is she the President extraordinaire at the Traveller World Guide where she has brought on two other people to work with the site, she is also Captain Burrito at ChickenChunk and Monday Funnies Author at Travel and Escape. Funnies Author is a fitting title, whenever I read her stuff, I do it with a huge smile. SoloTraveler – Janice Waugh has taken the travel industry by storm, traveling the world speaking about how to make a business out of blogging. She started the Global Bloggers Network and founded The Traveler's Handbook Series. Janice is always coming up with innovative ideas and is filled with wisdom when it comes to solo travel and the blogging industry. She's a very giving and caring woman and a mentor to us all. Professional Hobo – Nora Dunn may have now settled in the Caribbean but she's a Toronto gal. We actually have something in common, we both worked at YTV. Nora is one of the leading travel blogs on the net. She proved long before the rest of us joined the game that you can live a location independent lifestyle and make money doing it. She's so financially savvy that she is the senior contributor for Wise Bread, a popular personal finance and frugal living website, she give regular round ups of how much money she made and how she does it and she's just truly an inspiration. Backpack with Brock – Brock is currently on an amazing journey through Asia with Viator as their video blogger. He came oh so close to winning $10,000 through Viator last year, but they loved him so much, they brought him back anyway! He's now traveling Asia with them. Brock not only runs his travel blog, he is also an adventure consultant and entrepreneur who helps others plan their next world backpacking trip. Brock feels like the little brother we never had and is so much fun to be around. I hope he makes it back in time for TBEX so that he can share his adventures with everyone. Bacon is Magic – Ayngelina Brogan has slowed down work on her travel blog in recent years to return to her life in PR, but Bacon is Magic is still going strong and she has started working with the Navigate Media Group bringing travel bloggers together to collaborate on projects. Specializing in food, she writes engaging stories. A Nerd at Large – Stephanie has already made her living writing about the travel industry for over a decade. She's now started a Nerd at Large and is a Travel and Escape featured blogger. I've been loving her photographs and she even was kind enough to post some right here on our website. Check out Los Angeles in Black and White. Right now Stephanie is in the process of pursuing her goal of trying 1000 new things. Now that makes for an exciting life. Hopscotch The Globe – Kristen represented us on a press trip last year and ever since this girl has been on fire. We've been watching her travel the world working with various tourism boards. She won the VLogger award in Puerto Rico run by our good friends at Diamond PR and her youtube video “How to Pee Standing Up has received nearly 150,000 views! This girl has an awesome youtube channel and she's just dynamite! Girls Getaway – Dian Emery is the managing editor of this popular website. It's grown to become so big that there are six regular contributors and several guest writers. We've had the pleasure of going to Mexico with Dian and meeting her other half. She's such a gracious and giving lady and it's awesome to see so much success come her way! Excellent Vacation Ideas – Melanie is another person who when we get together we just laugh and laugh. A savvy business woman, she has developed an amazing site with Excellent Vacation Ideas. I love talking blogging and website business with her (in between laughing). And value her opinion and advice. If you're looking for vacation ideas for your next trip, this is the site for you. Her daily questions and inspiration always pop up in my facebook feed too! KK Adventures – Okay, Kieren and Karen may be from Britain, but they've made Toronto their home and are a huge part of our travel community. They've kept their full time jobs while running the blog on the side and have done a great job balancing both. And we're happy to know that they love exploring their new home…Toronto! Karin has also become a part of the Toronto Travel Massive team joining Cristina in helping Alicia and Mariellen plan events around the city. Oneika The Traveler – We met Oneika when we ran with the bulls last year while she was a part of the uber popular “Girls Running with Bulls” Oneika was recently named one of the Top 7 Travel Bloggers to Watch on Twitter and has been featured on National Geographic's Radar. She's been to 60 countries on 6 continents and is one fabulous lady. While travel blogging isn't her full time profession, she's a high school English Literature and French teacher at international schools, she still manages to take 10 international trips a year and if she wanted to switch to be a full time blogger, she easily could. Travel and Escape – Well, you may have noticed that many of the people we've mentioned above have been featured on Travel and Escape. Did you know Travel and Escape is based in Toronto? 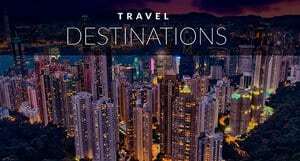 They've been a great supporter of the Toronto Travel community and even though they are a Television network, they also keep a good travel blog up and running to. . So there you have it. That's our list of Toronto Tavel Bloggers. I'm going to die if I missed someone. If you know me and we missed you, please send us an email. I'll add you in, somewhere in the middle so nobody will ever know that you weren't put on in the first place! 😉 I hope you enjoyed these Toronto Travel bloggers, you won't regret reading any of their blogs. Seriously, we've got a great world class community. 36 Responses to "Toronto Travel Bloggers – Who to Watch for at TBEX"
You are welcome Kristen, you are all amazing and we’re proud to be a part of the Toronto community. We met at TBEX Toronto 2 weeks ago, Love your blog! I am the guy from Toronto who moved to the island of Roatan and started an adventure travel company, and blog about Roatan (roatan.westbaytours.com). Anyways if you are ever around Roatan, Honduras drop me a line. Hopefully we can get you out on some cool tours, Tiny Deserted Islands or on a sailboat. Cheers, you rock! Thanks Seattle, we really do have a great Toronto Travel Community eh. LOL who told you I went back to my old job in advertising? Blog hasn’t slowed down at all. In fact I’m not at TBEX because I’ve been traveling in South America for last few months. Woohoo! What a list! We’re going to party like it’s 2013!!! See you all this weekend! Wow! I knew there were a lot of us but there are some on this list I don't yet know. I hope to change that at TBEX. Thanks for putting this list together and for including me. See you there! This will be my first TBEX and I'm really impressed by our Toronto travel community! Hoping that I can make a place for myself in it with my perspective as a 45+ traveller! This is just what I need as I start planning for our TBEX trip. 🙂 Yay!!! Better late than never. I know I haven’t been active in blogosphere and social media world but I’m excited to check out your home town! So excited you are coming! Thanx for including me! You are right we love to giggle together don’t we!!!! Can’t wait to see you there, if not before!!!!!! Can’t wait to get home and go through this list! Thanks so much. I’m a newbie at the event and can’t wait to meet everyone! Awww!! Thanks so much for the mention!! Honoured to be included in this list!! Hope to make it to TBEX and meet you all! 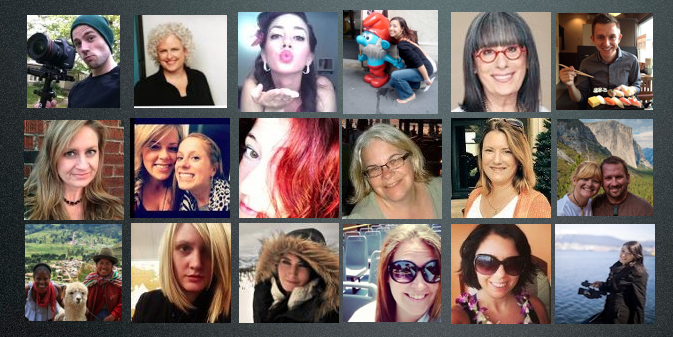 There are so many of us cool Canadians with amazing blogs, websites and stories, so proud! Agreed! Toronto does have a very talented travel blogging community. I also happen to think we have the most supportive one too! I feel so privileged to be a part of it! Thanks D&D for including me in such good company! Wow, what a great list! Definitely a bunch of blogs I hadn’t heard of before that are now in my feedly 🙂 I never new Toronto had such a huge community of travel bloggers! Wow. I didn’t realize there were so many of you from Toronto! Quite a list. I know a bunch, but plenty of new ones for me here. Time to get reading! I’m chuffed to be included with so many great writers and entrepreneurs – thank you so much! Can’t wait to catch up with a drink or three at TBEX! Yeah Canada! See you all in a few weeks! Hey Guys, excited to meet you! You’re the tops of Vancouver bloggers.we’re going to have to do another post for each province. We’ve got a great Canadian contingent!